BARC Developmental Services - Times Publishing Newspapers, Inc.
BARC Developmental Services has been a pioneer in the field of human services for nearly 68 years, serving over 700 children and adults with intellectual disabilities and Autism throughout Bucks County. 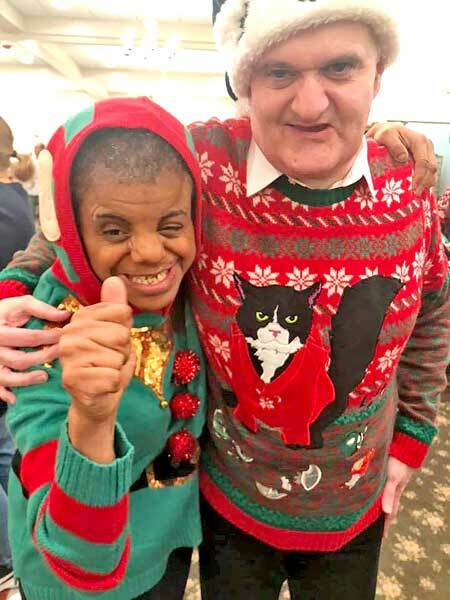 The agency provides referral-based support to people with intellectual disabilities and autism from the Bucks County region through early intervention, residential, and vocational programs. Early Intervention Services are designed to build upon the natural learning that occurs in a child’s early years. Their home-based services are provided for more than 400 children from birth through two years of age throughout the county by certified therapists. Residential Services provides four levels of support for men and women; placement is based on the needs of each individual served. Programs include Community Living Arrangements (CLA), Intermediate Care Facilities (ICF homes), LifeSharing, and Supported Living. The programs encourage and promote the development of appropriate independence, citizenship, and community participation. Vocational Services offers several programs for adults in two modern facilities located in Warminster and Quakertown, including a specialized program for adults with Autism Spectrum Disorder at their Warminster facility. Other programs at both sites include a Pre-Vocational (Workshop) program, Adult Training Facility (ATF), and Seniors Program that provides social, therapeutic, and recreational activities for adults who are unable or no longer wish to work, but still want to participate in daily activities. Employment opportunities are available for individuals who wish to secure jobs in the community through the Joint Opportunities for Business and Society program (JOBS). Additionally, folks who want to be more involved in their communities can also participate in the Community Participation Supports (CPS) program and spend time volunteering or visiting various places, such as museums, zoos, theater, and other locales. BARC Development Services has also established several fundraising initiatives that encourage community support, which is essential to their success. These events include the Phillies Baseball Raffle, Mercedes-Raffle, Ivyland Invitational Golf Tournament, Designer Handbag Bingo, Annual Autumn Luncheon and Holiday Card sale. The agency invites you to view their website at www.barcprograms.org or visit their Facebook page for more details about their many programs, events, fundraisers, and other contact information. PHOTO CAP: Beverly and Michael spend some time on the dance floor at the 2018 Residential Services Holiday Party.